A would-be suicide bomber was shot dead today by soldiers in Benghazi before he was able to detonate the explosives he was wearing. 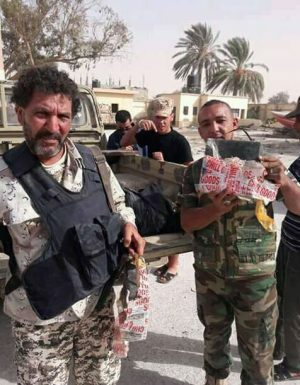 According to the Libyan National Army, the incident happened in the city’s Sabri district. With two makeshift vests each with six kilos of explosives, the bomber managed to get near a group of soldiers before being spotted and shot. There are fears of a resurgence of suicide bombing and assassinations in the city as the last bastions of Islamic militants are crushed. Today, there was an attempt to kill the head of the Magharba tribe while six days ago, anti-corruption activist Mohamed Bughaighis in a car bombing.